Navigating the world only by what's relatable is a pretty confining activity. I tend to think that it's become more prevalent — that, inundated with so much to read, to think about, we're more likely to curate our content, our reading of that content, by a simple kind of self-centredness: how does it relate to me? This, perhaps, is magnified by our general angstiness. We're constantly seeking answers for ourselves. We're trying to make sense of our experiences and our relationships. We've cast ourselves far and wide into the world and now we're trying to find ways to cast order on our disarray, to bring unity to feelings and situations that seem to us disparate and uniquely modern. There's something significant lost in this approach, of course. We forget the ability to appreciate abstractly, unselfishly. To love something not because it hooks up to us in some way, but because it is simply a story that moves us, or a character that intrigues or repels or challenges or changes us. By straining for what already feels familiar, relatable, comforting, or what feels like an answer to our particular questions, we miss the opportunity to see the wide world that's not about us. But recently I found myself in a situation I struggled to understand. And I yearned for a love story that somehow mirrored my own, that would help me see an arc, an ending with a soft place to land. 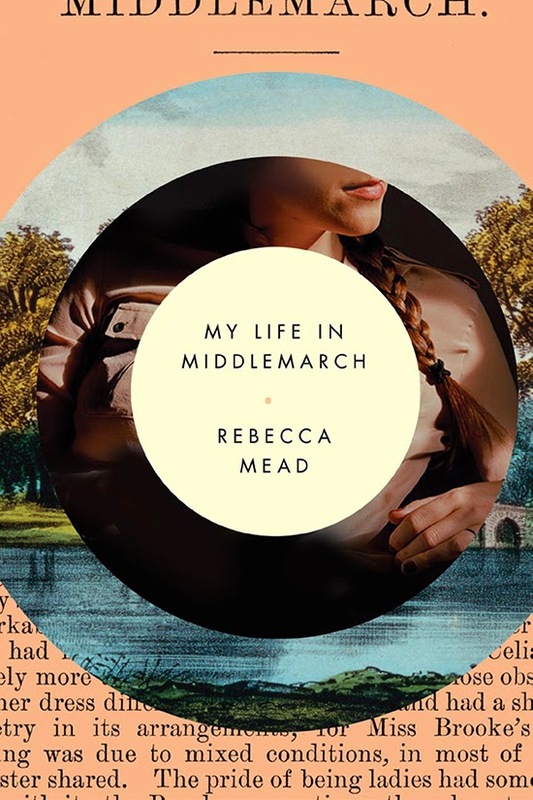 As Rebecca Mead writes in My Life in Middlemarch "I longed for the simplicity of a direct comparison" (p.82). And I felt more alone because I couldn't think of the movie to watch or the book to read, because I felt like the love story I was in hadn't been told. And living in an untold story was a little devastating. Still, there's a balance here. Only looking for ways of hooking the world up to you is confining. Moreover, reading or watching something and expecting it to knit seamlessly with your own experience likely requires some sort of blinkered interpretation of character or story. We should be able to do both: to enjoy, feel inspired and understood when a character or story intersects with our own, but also to enjoy and appreciate when it deviates, when it perhaps doesn't overlap at all. Rebecca Mead dances this fine line so beautifully in her book. She lays bare the relationship we can have with a book -- where it not just relates, but even shapes us - a relationship that's dynamic too, evolving as we do. And just as we have a sense of continuity in our own life and identity - despite fractured and conflicting feelings and moments - so too we can read the same book and read a new book, forming a new shoot each time. Mead also shares how through Middlemarch, she built a relationship with George Eliot, whose life at times informed and illuminated her own (though this is often better seen in retrospect). Loving a book, living a life through a book, creates causal connections run both ways; we read books a certain way at certain times, and they too influence our actions in different ways at different times. But also expressed - just as importantly - is a purer form of appreciation. This is about a fully rounded reading experience. How one can be moved on multiple planes, both from inside the paradigm of self and from outside of it, where appreciation is a cool, clear stream, untainted by ego. I picked up this book at a perfect time. I had a craving for a certain kind of voice, a certain gentleness of spirit and mind, and this book both inspired and comforted me. I'm rereading Middlemarch right now too (it's an old favourite of mine, though I don't pretend to know it as intimately as Mead). I'm unsure if it's possible to read Mead's book without familiarity with Middlemarch - I'm inclined to say not — that everybody should read Middlemarch, multiple times. And Mead reminded me why.